Naomi Watts is the latest to sign on as a global ambassador for Tommy Hilfiger’s limited-edition handbag for Breast Health International. Naomi is captured by Patrick Demarchelier at her home in Los Angeles. 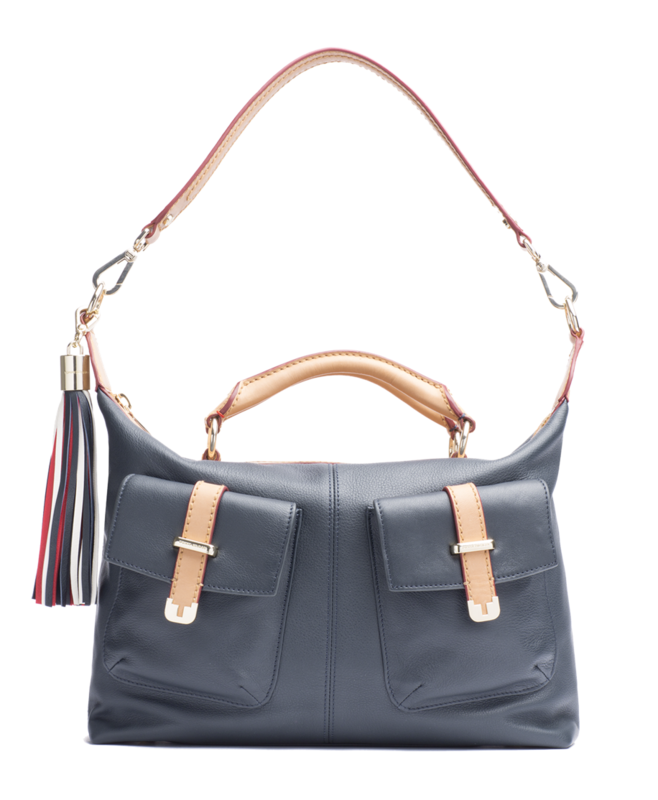 The handbag, in navy-blue pebbled leather with caramel accents, features gold hardware, a detachable strap and, in true Tommy form, a red, white and blue tassel key chain. 50% of the proceeds of each limited edition bag will benefit the Breast Health International Fund for Living. This program supports women affected by breast cancer to help cover the costs that usually are not covered by health insurance, such as childcare, counseling and mastectomy bras. With your purchase you can help improve the lives of women and their families around the world who have been affected by breast cancer. Watts joins Renée Zellweger, Carla Bruni, Charlotte Gainsbourg, Naomi Campbell, Claudia Schiffer and other women before her in the eighth annual initiative, which benefits BHI’s Fund for Living.